The former cyclist and acclaimed journalist was on the RTE Radio 1 show earlier today. Kimmage described 2012 as the worst year of his life. “In January I was made redundant. Two weeks later, I got a lawsuit. It was a personal action against me. As a result of closure to the Armstrong case, there was satisfaction. I was getting praise, but I was still out of work. “I got a phone call from someone I’d never spoken to [who said I was being made redundant], and it was a shock. “Mentally I cracked, and I’m glad I did, because it gave me a sense of the power of these drugs. “I was almost running through the wall, I was so keen to get back on my bike. “From a performance point of view, it didn’t make any sense. It was a straight race, there were no times involved. I went home that night outside of Grenoble. The guilt of it – saying, ‘what have you done?’ I told Anne, my wife. “[My parents] devoted their lives to the four of us. The one thing I wanted to do was be a bike racer. It is, or was, a cinderella sport. “It’s a very close-knit community. I met Stephen Roche when I was 13. “I signed up as a pro in 1986. It’s different when it becomes your job. As a kid, you dream about it. It looks glamorous and it is glamorous at times. A bit of the love goes out of it when you’re relying on it for your bills. I’ve been living the life of a monk since I was 15. Every night I’d go to bed at 9.30. I was very dedicated, and it requires that. “All I knew as a kid was cycling and comics. “I wanted him to be proud of me. So much of my drive was wanting to please my dad. “Stephen was someone that I’d idolised. “I would challenge you to read Rough Ride and find a bad word about Stephen. It shattered our relationship irreparably. “Of course he was aware of the doping. It was self interest [denying it]. “I was in Easons signing copies of the book and The Evening Press came in. The front page read: ‘Roche may sue over Late Late’. “I naively thought I was going to get applauded. What I did had huge implications for Kelly, Roche and Martin [Earley]. “I went on the Late Late Show. Gay [Byrne] was too good a broadcaster to ignore the elephant in the room [the issue of whether or not Roche or Kelly doped]. “I don’t think I slept trying to figure how I’d answer him. I said ‘it’s not important, this is about my career’. Sean had tested positive twice. “I felt incredibly vulnerable for eight months. Then I got a chance to write for the Daily Mail. There were serious questions about Team Sky. “[Looking back on my journalism career initially] I thought, ultimately, it was a waste of time. “After this defence fund, I realised, ‘you actually did make a difference’. Email “10 things we learned from Paul Kimmage's interview on Marian”. 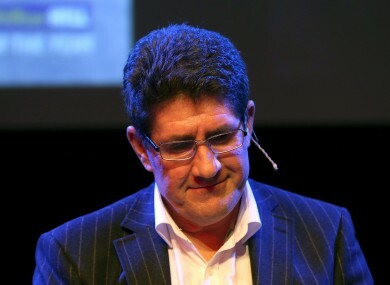 Feedback on “10 things we learned from Paul Kimmage's interview on Marian”.